I took this because I was trying to illustrate the cap I'm wearing under my cycle helmet, which is from Howies and is very good. The photo didn't really work. 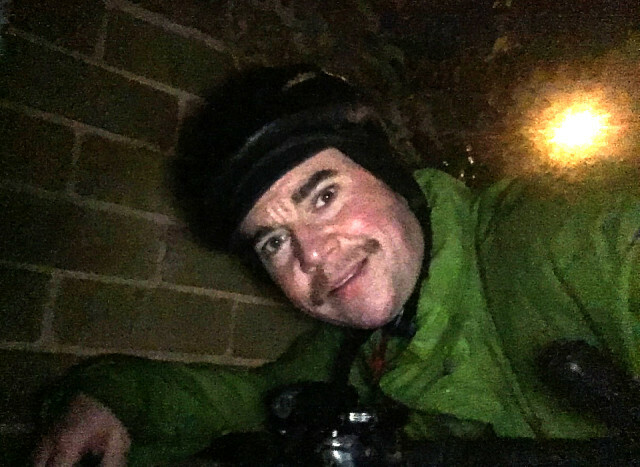 A cold and wet ride home but still able to summon a smile!